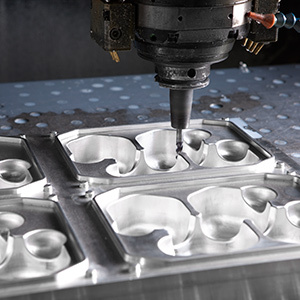 After designs and prototypes are approved, Nelipak experienced CNC programmers, tool and die makers develop and produce all production tooling in-house. All production tooling is produced in high quality material and precision machined to the highest tolerances. The production tooling is more than just a mold. It is custom made and consists of many parts such as the production mold, plug-assist, cutting knives, cutting plate, clamping frame and a robot handling plate. Upon completion tooling goes through our tooling qualification process to ensure the tool is capable of producing the product for which it is designed. This supports our constant innovation and specialist know-how as we look to shift the boundaries of technology. After production runs, tools are carefully stored and maintained for optimal future performance. Storage of our tools takes place in special fire resistant areas. The tool sets are also interchangeable with our other production sites through the safe keeping of tool cavity and product master files off-site, ensuring you of global supply and an alternative source which can meet your contingency plans.